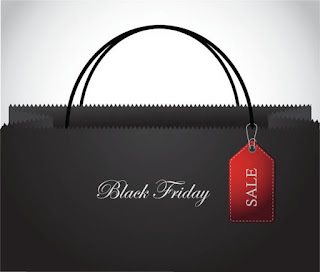 Black Friday which started as a brick-and-mortar store affair is now mainstream online, meaning you don't have to leave the sitting room to do shopping any more - right with your pajamas, you're good to go shopping at any online store at your convenience. But, with the ease also comes other risk factors to have at the back of your mind while doing your shopping online on Black Friday. Below are 5 tips for staying safe online, so you can start checking out items on the shopping list for Black Friday. Trust is the watchword to staying safe online, so it is always recommended to shop at popular and trusted sites. If peradventure you don't know the site address and wish to utilize search engines, do not drift past the first page result as only the trusted and established sites can make the cut. Misspellings or websites using different domain extensions like (.net instead of .com, for instance) are some of the things to lookout for online. And ensure you do not enter credit/debit card details on a site without SSL Certification, that is, the site will start with HTTPS:// (instead of HTTP://), and a padlock icon will appear in the status bar on the web browser. Now is certainly not a good time to try out a free hotspot, only use the wireless facility if you have a virtual private network (VPN) connection. And if you must use a public WiFi, stick to known and popular providers. The humble password remains the Achilles heel in many security breaches. So adhere to rules in creating unique and strong password for your account, as shopping online involves creating account, beating this old horse isn't completely out of place. Mobile apps are quite unmistakeable in the various app stores, more reason it is recommended to use apps for online shopping. The mobile apps are provided by the eTailers directly and you can find whatever you want to buy and then make the purchase without going to the store or the website. In conclusion, it is advised to know what is too good to be true. In other words, avoid bogus offers, as many of such "offers" will come in via social media. Stay safe shopping online as there's no need to be any more nervous about shopping online than at offline store after all.